Last night I spent a very lovely evening with my two gorgeous friends John and B. They live in an adorable apartment in Fitzroy with a view of the city and I was even organised enough to bring my tripod this time! 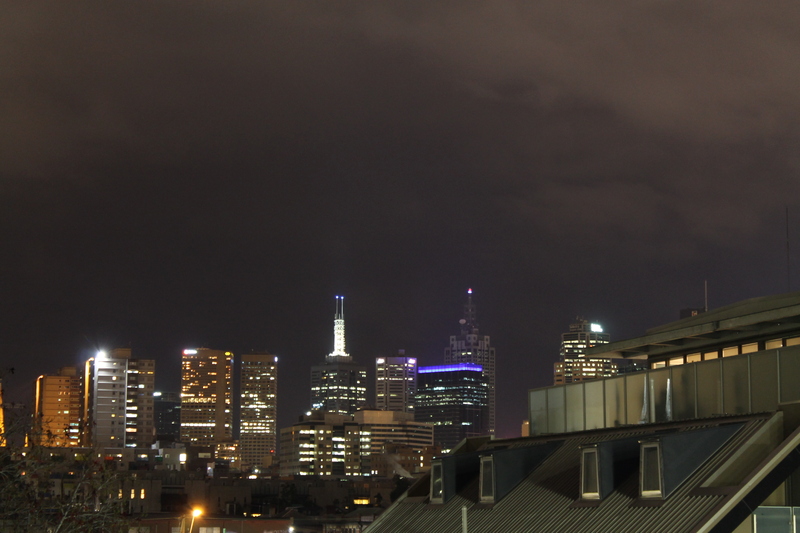 This was a 2 second exposure looking towards the CBD from Fitzroy. I took a few shots from the balcony, they’re not my best but having the tripod means that most of them aren’t blurry which is a definite win for me! 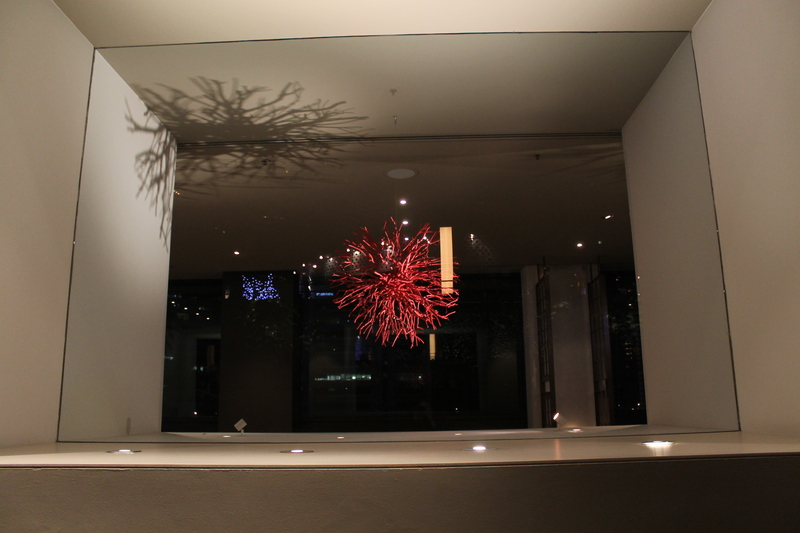 After dinner we went to the Sofitel in Collins St to their café on the 35th floor. The views from it are spectacular. This is a view looking east (I think). 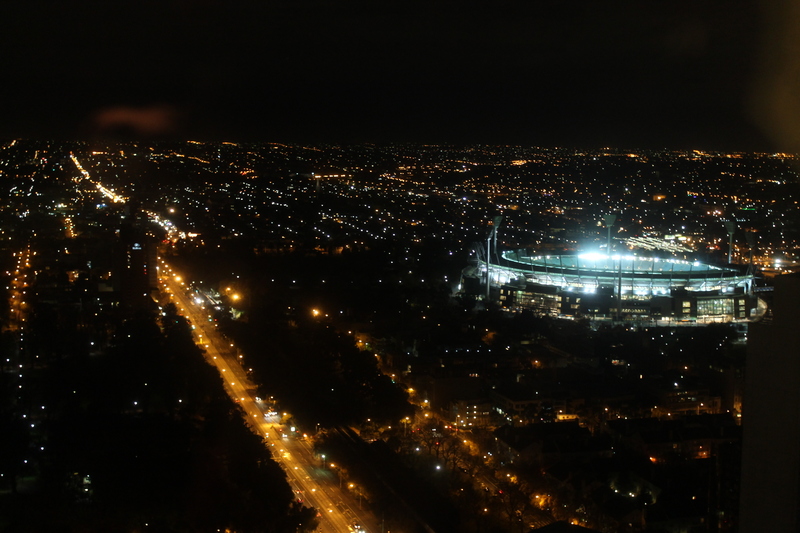 The MCG looks a lot like a spaceship to me in this photo, I knew it was bright but seeing it from this position you realise just how bright. The café is also very visually impressive. This was a feature in one of the dividing walls. I have not idea what it is, perhaps it’s a coral tumbleweed, I liked the way its shadow is above it. 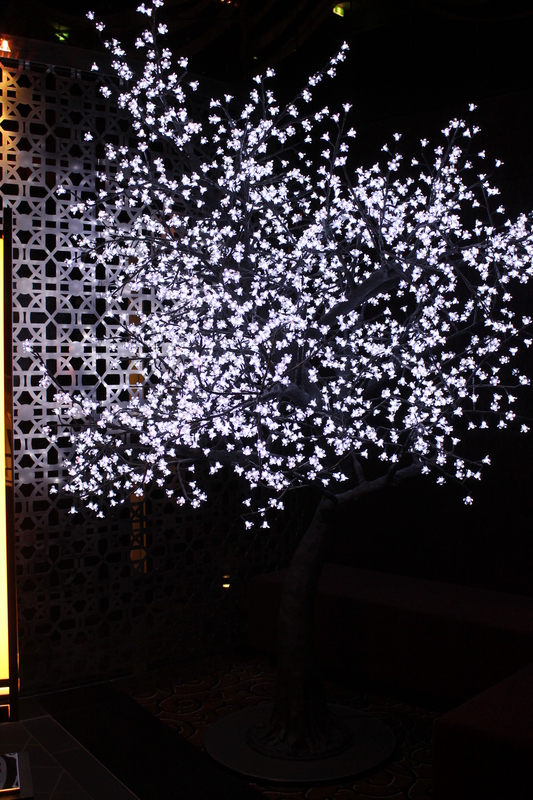 There were two of these light trees, this is the smaller of the two. I really like the quality of light it creates – a sort of creepy blue whiteness. 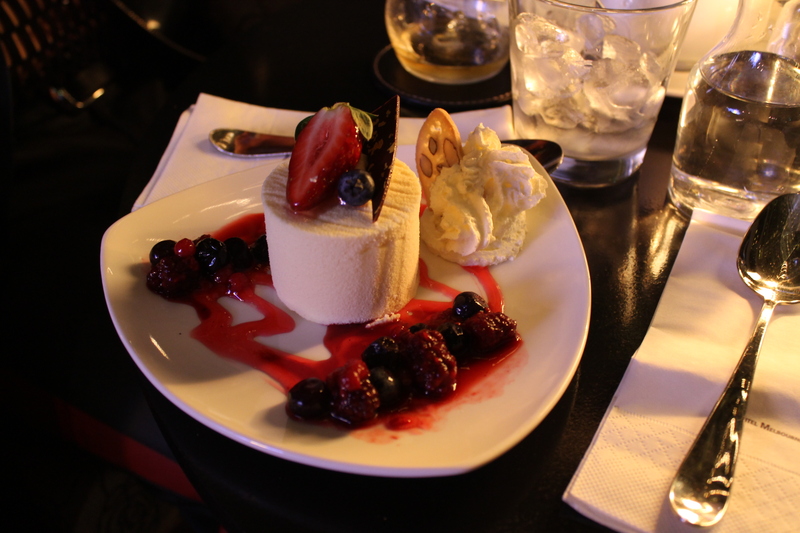 This is just a gratuitous cake shot; white chocolate mousse cake with berries I believe. It was expensive cake, but it was worth it. This place is not cheap but it is totally worth it; the view, the service, the interior it’s all spectacular. 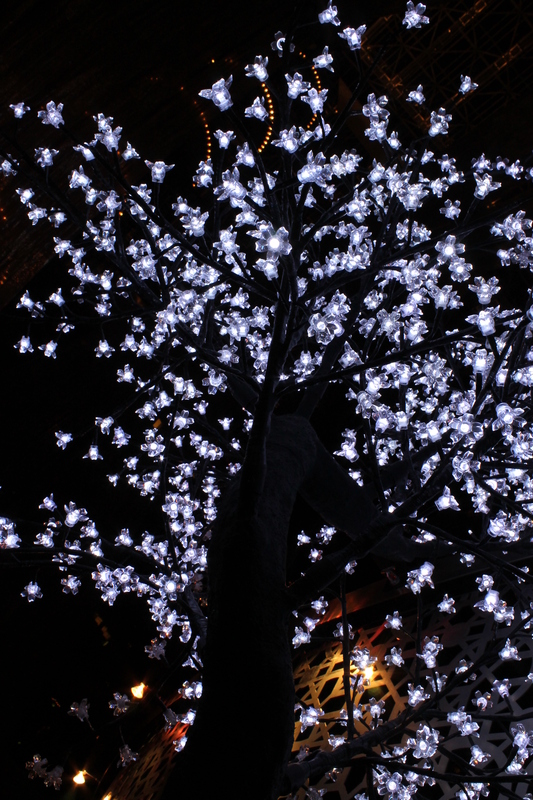 This is the second light tree. It’s much bigger than the other one and it just has such a wonderful presence in the room. Its cool blue light mixed with the warm ambience from the rest of the lighting makes a really beautiful contrast. When I grow up I’m going to have a light tree.